What is it about war that produces such compelling literature? And what is it about World War II, in particular, that continues to capture us like none other? As long as there has been war—and that’s since the beginning of time—storytellers have been trying to capture the experience, first to preserve it for history (think epics like Homer’s Iliad) and then to try to make sense of it. They have tried to explore it as tragedy (Shakespeare’s Henry V), as philosophy (Tolstoy’s War and Peace), through psychology (Pat Barker’s Resurrection), as memoir (My War: Killing Time in Iraq by Colby Buzzell) and even as comedy (Joseph Heller’s Catch 22). But whatever the approach the aim has been the same: to describe what can’t be described, to find humanity in the midst of cruelty, to understand what can’t be understood. The modern American War novel had its beginnings with the likes of The Red Badge of Courage, and then on to Hemingway’s A Farewell to Arms, later to Tim O’Brien’s Vietnam novels and stories, including The Things They Carried. Today, and now Iraq and Afghanistan (One Hundred and One Nights by Benjamin Buckholz, Roxana Robinson’s Sandbox, and Helen Benedict’s Sand Queen). But no war has produced as much great literature as World War II, and what surprises me is that it keeps on coming, more than seventy years after the war’s end and well after the torch has been passed to writers born long after it. A quick check shows there are 867 World War II novels currently on sale at Amazon, compared to 454 for Vietnam and 310 for World War I. What got me thinking about this special fascination for World War II, if that’s the right word for it, was a recent reading of All the Light We Cannot See, the marvelous novel by Anthony Doerr that has racked up prizes and top reviews, all of them richly deserved, since its debut two years ago. 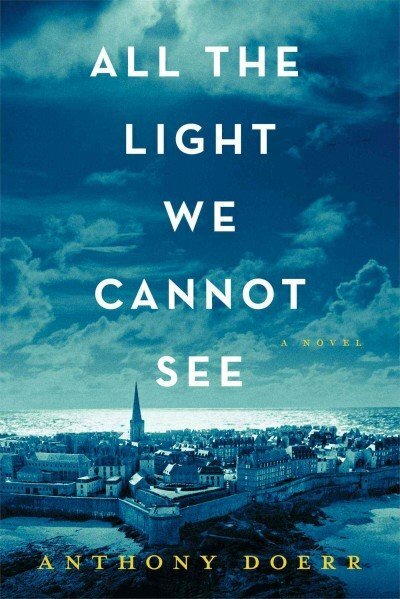 The novel is a brilliant lyrical story of two teenagers, a blind French girl, sly, resourceful, and courageous beyond belief, and a young German soldier, an orphan with a preternatural understanding of the magic of radio electronics, whose paths eventually cross in the battle for Saint-Malo, an occupied French town freed by the Americans soon after D-Day. The novel tells their parallel stories, jumping back and forth through time and different sides of the conflict. You can appreciate this novel on many levels but for me, what was particularly striking was the depiction of occupied France and the different ways in which the citizenry reacts and copes, as well as the struggle of the teenage German soldier, a fundamentally decent child, entrapped by the cruelty of Hitler and haunted by the killing he witnesses but never engages in. Doerr bring them all to life with an extremely skilled pen. But why did Doerr go back to World War II for his setting? He could just as easily have chosen Iraq or Afghanistan or one of a dozen more recent conflicts that involve innocent youth caught up in foreign occupation, resistance movements, and the peculiar cruelty that is war. 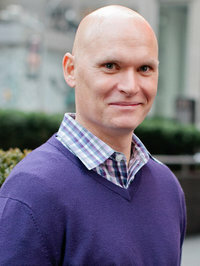 When I went to look up Anthony Doerr’s background, I was expecting to find a direct tie to the war, one that made writing about it all but inevitable. But if such a tie exists, it’s not apparent, and the author gives a wholly different explanation for his choice. That explanation works only up to a point. Much the same could be said of the wars going on today, which leaves me no closer to answering the question I started with. Why does this war still yield so much great literature?